Britain's biggest retailer, supermarket group Tesco, said Monday that it planned to axe up to 9,000 jobs under the next stage of a vast restructuring programme, as it continues to come up against increasing competition from German discount retailers Aldi and Lidl. Tesco, which employs about 300,000 staff in the UK out of a total global workforce of 440,000, added that it would try to find new roles for up to 50 per cent of those affected. "Overall, we estimate that up to 9,000 Tesco colleague roles could be impacted, however, our expectation is that up to half of these colleagues could be redeployed to other customer-facing roles," the supermarket said in a statement. "In our four years of turnaround we've made good progress, but the market is challenging and we need to continually adapt to remain competitive," said Britain and Ireland CEO Jason Tarry. Tesco said jobs would go as it planned to shut counters at some stores serving items such as fresh fish, meat and cheeses. It intends also to simplify the way it controls stocks of goods, as well as reducing head office numbers and shutting staff canteens in favour of self-service kitchen facilities. 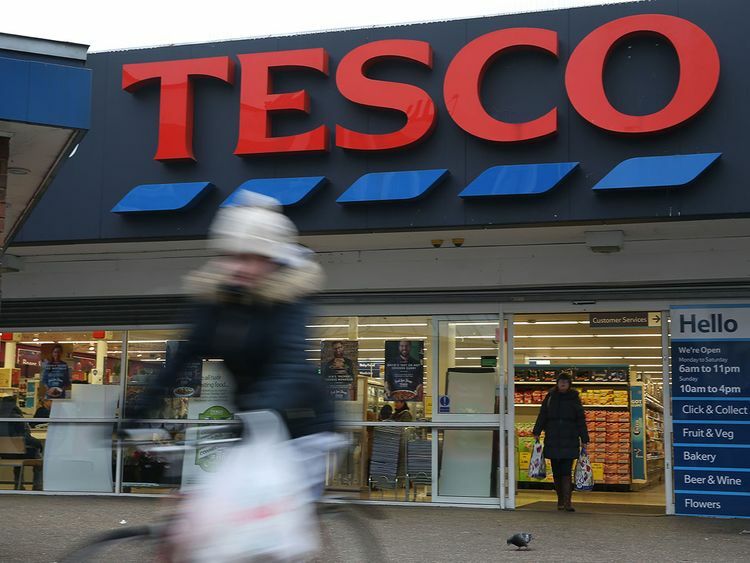 "We expect that around 90 stores will close their counters, with the remaining 700 trading with either a full or flexible counter offer for our customers," Tesco said in the statement. Tarry added: "We're making changes to our UK stores and head office to simplify what we do and how we do it, so we're better able to meet the needs of our customers." Tesco's share price closed down 1.7 per cent at 221 pence on London's FTSE 100 index, which lost 0.9 per cent overall. "The group is engaging in a strict cost-cutting scheme as a way of coping with the rise of Lidl and Aldi," noted David Madden, market analyst at CMC Markets UK. "The stock has pushing higher since late December, and if the move continues it might target the 245 pence region." More than 10,000 jobs have been cut at Tesco since chief executive Dave Lewis took charge in 2014 with the brief to save #1.5 billion ($1.9 billion, 1.7 billion euros). The group rebounded into annual net profit last year on strong sales and restructuring following a net loss of #40 million in 2016/2017, when it was hurt by costs arising from an accounting fiasco. Tesco - the world's third-biggest supermarket chain after France's Carrefour and global leader Wal-Mart of the United States - has global operations, including in China, India, Malaysia, Slovakia and Thailand. While in its main market Britain, Tesco has been dogged in recent years by fierce domestic competition from discounters, which shoppers flocked to following the global financial crisis. Tesco has also been hit by an accounting scandal. The supermarket announced in September 2014 that it likely overstated profits by about 250 million pounds and was subsequently hit by fines and costs of a similar amount. However last week, Tesco's former UK finance director was cleared of playing a role in the affair after a case against him was dropped by the courts.